Cool and Spicy » Happy New Year! I thought that was the most fitting New Year’s image, myself. Happy 2010, anony! .-= mefloraine´s last blog ..Solanin / ソラニン =-. A very nice new year ! 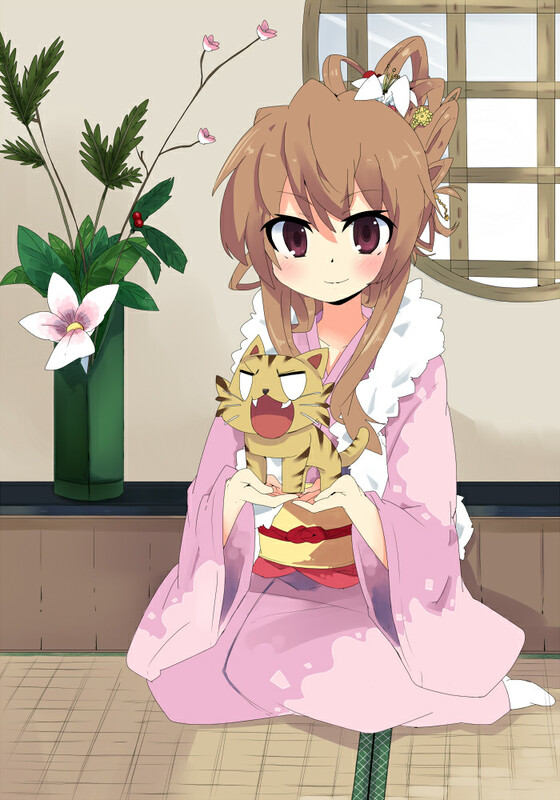 I looove this Taiga’s picture, it’s soooooooo cute ! .-= Lylibellule´s last blog ..Happy new year! / Last contest winner =-. .-= Ayumikat´s last blog ..HAPPY NEW YEAR**新年快樂**明けましておめでとう =-. .-= Smithy´s last blog ..Azusa Nakano nendoroid =-. .-= sonic_ver2´s last blog ..Happy new year!!! ~ 2010 =-. .-= Ippiki Ookami´s last blog ..Favorites…? =-. .-= meronpan´s last blog ..BLACK★ROCK SHOOTER =-. .-= Guy´s last blog ..Loli (Puppy) in a Box! =-. .-= FaS´s last blog ..Winter 2010 V2 New Shows/Subbed Trailers =-. @Lylibellule: Thanks. Happy new year! @Ayumikat: I hope 2010 is a great year for you! @sonic_ver2: Taiga doesn’t already rule the world!? @Ippiki Ookami: Hey, you’re no tiger! Imposter! .-= Xine´s last blog ..Happy New Year from Toy Pusher! =-. .-= Optic´s last blog ..Free Black Rock Shooter =-. .-= Persocom´s last blog ..Happy New Year! 2010 =-.